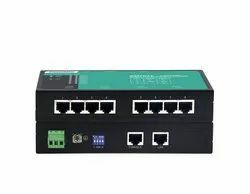 Offering you a complete choice of products which include gsm gateway, voip gateway, 32port gsm gateway, modbus gateway, multi port voip gateway and ethernet modbus gateway. GSM VoIP gateway 8x8G is newly designed IP to GSM gateway supporting maximum 8 ports 64SIMs of GSM Voice interface, it can effectively realize the smooth transition between PLMN(GSM) and VoIP network. Compact cost effective design and system architecture of GSM Gateway 8x8G provides customer satisfaction in high quality,good performance and system reliance. Mostly important,GSM Gateway 8x8 features with new functions such as multi- SIM rotation, Human behaviour,BTS rotation,proxy server encryption for anti IP block, ETS bandwidth optimization (SBO), Auto IMEI change and generation,auto activation SIM card etc. 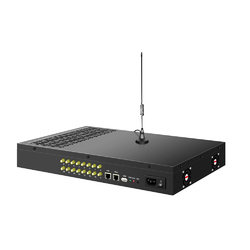 This product uses the state-of-art technology voice compression and Smart QoS of Mootek to maintain the maximum voice quality under fast internet line and slow internet line as well, thus It is an ideal gateway for heavy duty VoIP call termination (VoIP to GSM) and Origination (GSM to VoIP), it is fully compatible with leading soft switch and SIP server. GW1101 series of Modbus gateway are designed for integrating Modbus RTU/ASCII and Modbus TCP; they can achieve the conversion between Modbus RTU/ASCII and Modbus TCP protocol. This series provide 2 types of products and support 1 RS-232 or RS-485/422 and 1 100M Ethernet copper port. They adopt wall mounting to meet the requirements of different application scenes. 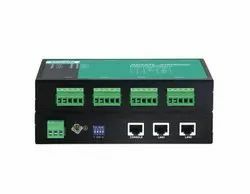 GW1102 series of Modbus gateway are designed for integrating Modbus RTU/ASCII and Modbus TCP; they can achieve the conversion between Modbus RTU/ASCII and Modbus TCP protocol. 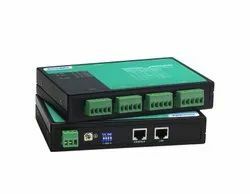 This series provide 2 types of products and support 2 RS-232 or RS-485/422 and 1 100M Ethernet copper port. They adopt wall mounting to meet the requirements of different application scenes. 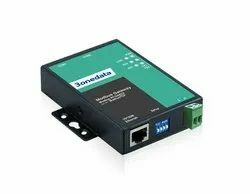 Looking for Industrial Modbus Gateway ?